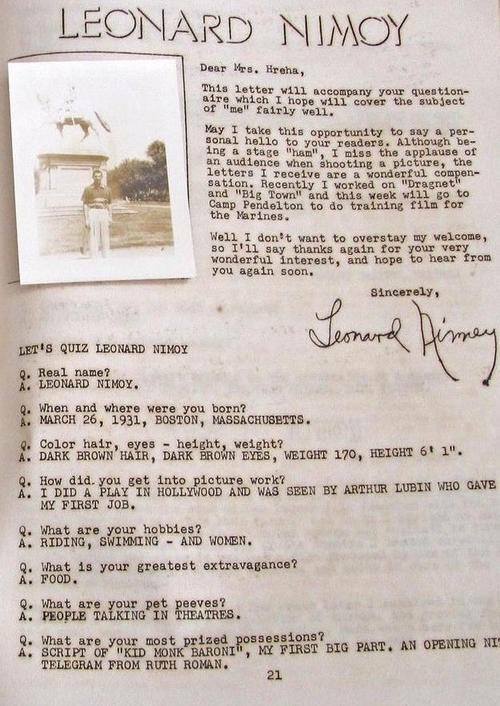 I came across this interesting little tidbit from Mr. Nimoy’s youth… This was Leonard’s responses to a questionnaire by a fan publication from the 1950’s called “Hi-Lites”, which covered ‘up and coming’ actors and actresses’. This one was from 1953-54. He was happy to respond to Mrs. Hreha’s questions with this gracious note and even supplied a photo! 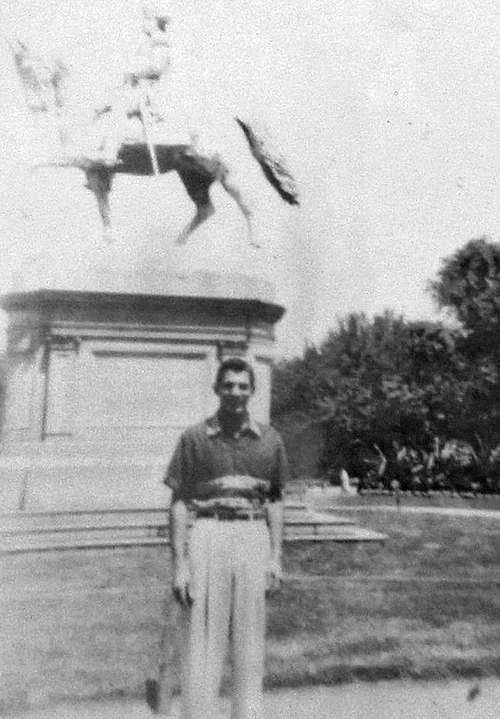 This entry was posted in Leonard Nimoy, My Weekly Spock and tagged 1950s, Hi-Lites, Leonard Nimoy, questions, young. Bookmark the permalink. It’s interesting that this source lists his height as 6′ 1″, since the “Vital Statistics” section of “I Am Not Spock” lists his height as “6 feet” and his weight as “160.” He could have lost ten pounds between 1953 and 1975, but surely he didn’t shrink an inch in height! And his IMDB bio lists his height as 5′ 11 3/4″. Any idea which figure is correct? I don’t know how you find these treasures, Therese, but this one is especially appealing, regardless of how tall he was. Thank Debby! Sometimes I just get lucky when I look up stuff on the ‘net!